Violinist Ewald Cheung has performed as soloist with orchestras around Canada, including the Edmonton Symphony Orchestra and the Orchestre Symphonique de Quebec. He has also performed in recital series in Trois-Rivieres, CAMMAC, Edmonton and Muzewest with pianists Philip Chiu, Henry Mokken, and Michael Massey. 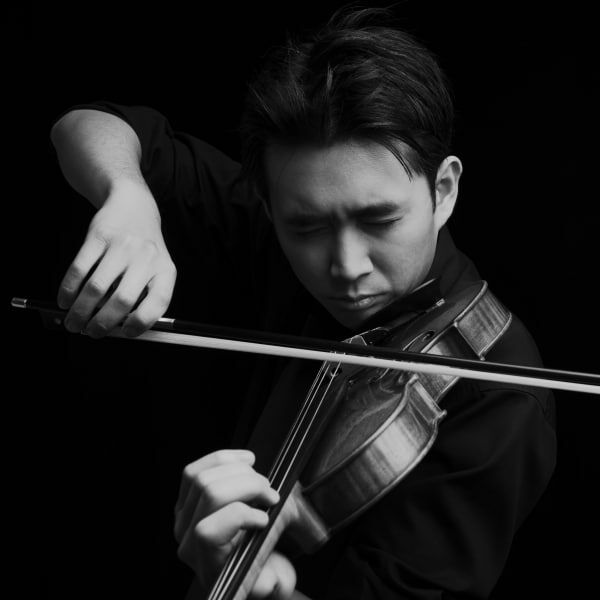 In 2015, Ewald and pianist Philip Chiu were featured in a 34-concert tour with Jeunesses Musicales Canada and also recorded their album, “A Tribute to Fritz Kreisler.” He is currently a member of the first violin section of the Edmonton Symphony Orchestra. Ewald is the recipient of the 2010 Golden Violin Award from McGill University, where he also received his Bachelor of Music and Artist Diploma. He recently obtained his Masters’ degree from The Juilliard School. His teachers include Daniel Phillips, Felicia Moye, André Roy, Jonathan Crow, James Keene and Valeria Kalinak. Other awards include First Prize in the Shean Strings Competition in 2009, First Prize in the Trois-Riviéres Competition in 2010 and Second Prize in the Standard Life OSM Competition in 2007. Ewald gratefully has been supported by the Anne Burrows Foundation, the Winspear Fund and the Victoria Foundation throughout his studies. As an avid chamber musician, Ewald was a founding member of the Roddick String Quartet and Geistrio. With the Roddick String Quartet, he competed at the London International String Quartet Competition and performed at the Montreal Chamber Music Festival. Ewald, additionally has competed at the Fischoff National Chamber Competition and performed at the Canadian Opera Company’s Free Concert Series with Geistrio. He has also collaborated with many prominent musicians including Robert Uchida, Rafael Hoekman, Axel Strauss, Patricia Tao and Peter Wiley. Ewald has previously attended the McGill International String Quartet Academy, studying with members of the Alban Berg, Cleveland and Guarneri String Quartets.